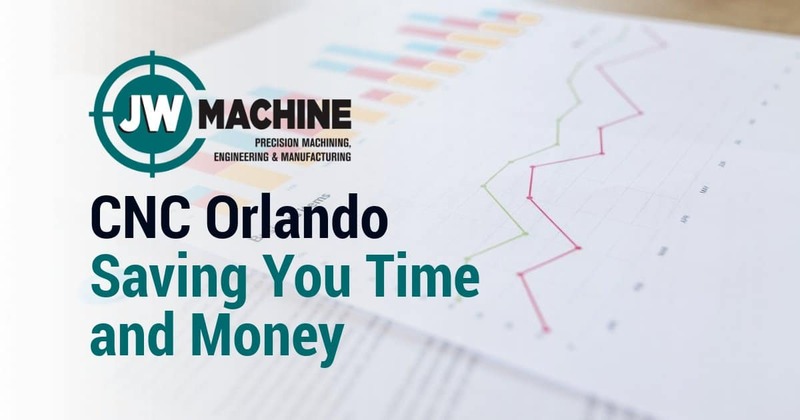 Time is money, employing a local Orlando machine shop can save you thousands in material, shipping, and manufacturing costs. Not all machine shop services are the same. When exploring options for a prototypes to production manufacturing facility, looking close to home can add revenue to your bottom line. Here are a few reasons to “shop local” for Orlando machine shop services. Shopping your project to a local Orlando machine shop services provider can save thousands in shipping. Not only can you save shipping on the final product, but your local Orlando machine shop may be able to provide a more affordable local source for the raw materials needed for your prototypes to production manufacturing project. Using local machine shop services can also provide insight into possible locally available alternate materials, saving time and shipping cost of raw materials. Another hidden cost in prototypes to production manufacturing is the possible shipping delays. Hiring a local Orlando machine shop can significantly reduce time lost waiting for the raw materials to arrive, for prototypes to be shipped to and from your location and shipping the final product to you. Local machine shop services know the pulse of the local economy and can often make suggested changes to improve your project timeline, adding to your bottom line instead of making you see red! JW Machine shop services are the gold standard for machine shops in Orlando. Our experts are ready to help guide you through the process of getting your project off the ground and in the black!